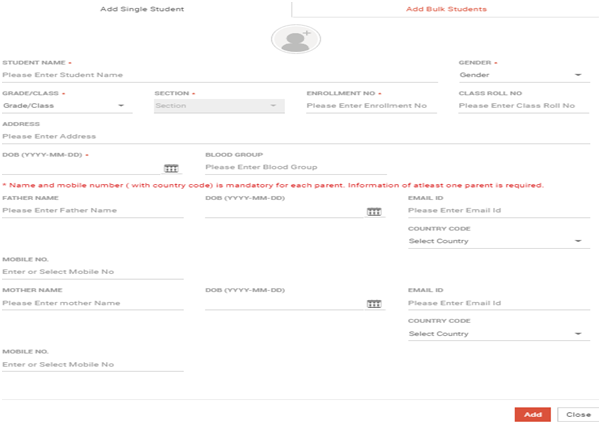 The student database needs to be populated within Lernio to create user accounts for parents of the students. Step 2: Now to add a new student click the “+” sign to add a new student. Step 4: You can also download a sample file first and fill in the excel sheet. Step 5: Click on bulk update students. Sep 6: Select the correct file that needs to be uploaded and click on open.